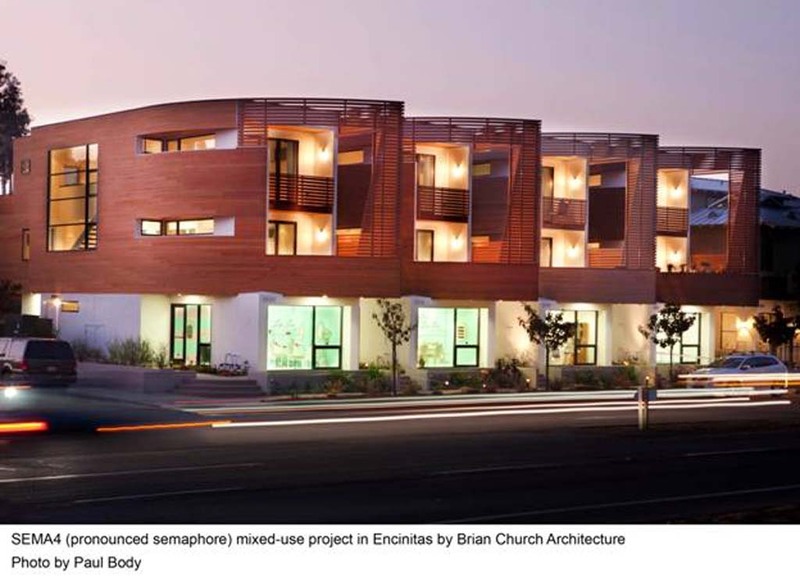 LEUCADIA — At the recent San Diego chapter of the American Institute of Architects Design and Vision Awards for Neighborhood Innovation, Del Mar Architect Brian Church received an Honor Award in the mixed-use category for SEMA4 (pronounced semaphore – after flags used for signaling on ships), a live-work project designed and developed by Church in Leucadia. The Honor Award is the highest level of award given in each of the competition’s categories. The awards program was on hiatus in 2012 due to a down economy, but had a strong crop of nominees and winners in this year’s program. “An elegant and captivating composition sets this project apart, as does its thoughtful and understated use of traditional materials, well suited to combined residential and small-retail uses,” the jury said. The building’s curving wood shapes resemble the hull, or sails, of a ship, leading many locals to refer to it as the “new boat houses” – a reference to the local Encinitas landmark “Boat Houses” built in the late 1920s. The recently completed, four-unit project comprises four buildings, each with a three-bedroom, three-bath residence above a small commercial space and garage. The project has earned LEED Gold certification for its energy performance and sustainable construction, and also received a Merit Award by the Western Red Cedar Lumber Association in a separate design competition. Brian Church Architecture focuses on custom residential, commercial, and mix-use projects in coastal San Diego County. 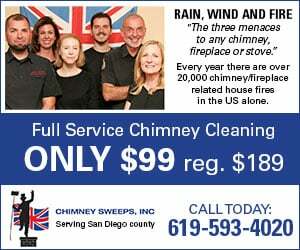 They also recently completed the Solterra Winery in Leucadia.